Preparations for the drive to Alaska are going well. I created a YouTube playlist to help answer your questions about our preparation progress, how to get to Alaska, what route we're taking and so forth. Expect videos to be posted about fundraising and updates from the road (as I have access). The trip is scheduled for July 31-August 4, 2017. I'll be leaving about 10 days before that with a friend. She says she is up for what she's getting into. I'm taking her at her word! The route seems crazy at first glance, but makes sense when you think about it. Getting there will take us from Tennessee through New Mexico, then to parts north and entering Canada near Bellingham. 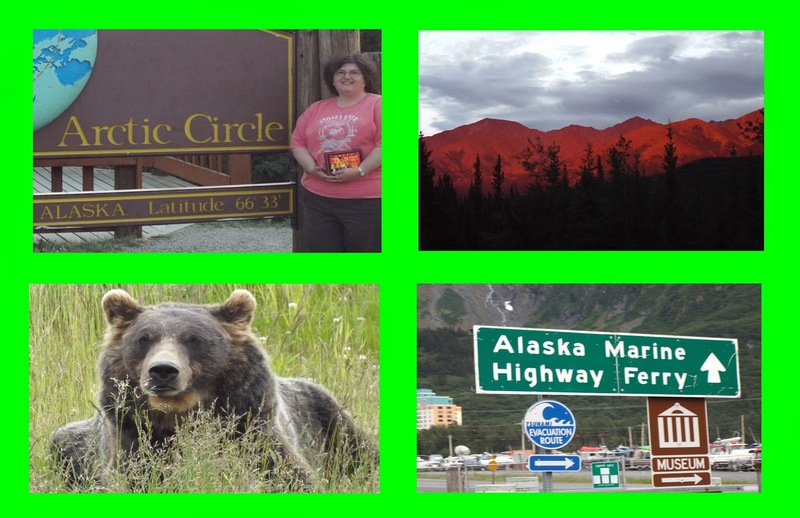 We will drive to the Alaska Highway from there and take that into Alaska. From there it's a (comparative) hop, skip and jump into Seward. This isn't a fun, vacation drive. It is a mission trip with a hard and fast deadline that we have to meet. People are depending on us to get their stuff and a haul of Vacation Bible School materials to the worksite in Seward. This means going there, unloading the van and then driving back up to Anchorage to meet the team after we get there. There won't be as much pressure to get home. We'll take that part of the trip will a little less pressure, but we still won't dawdle. Our team is currently in the fundraising stage. Cookbooks will be available soon and jewelry parties (80% profit) are being scheduled. I will be offering a postcard subscription service before we go. More details will be coming out about that later on. Thanks for following the progress of our trip. I'm on Twitter @gaylecrabtree and you can leave a comment on any of the YouTube videos in the playlist. Of course, email still works too. I look forward to sharing this journey with you. Thanks for coming along for the ride.